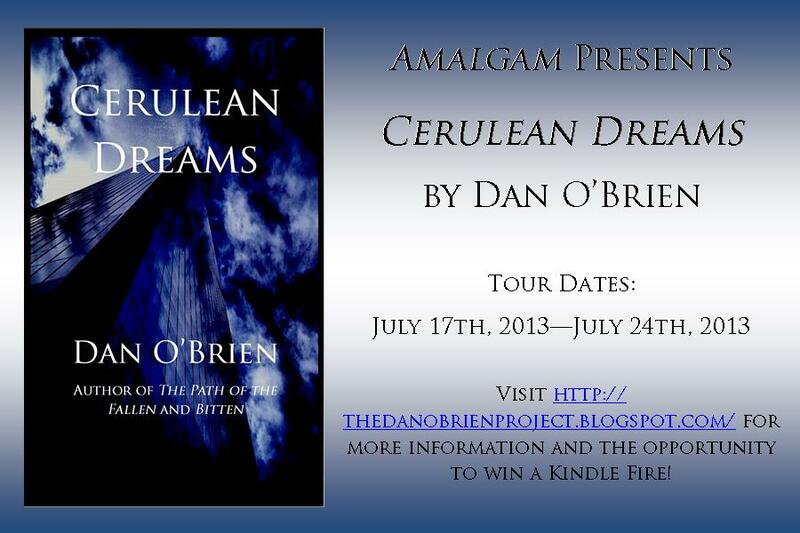 Today, author Dan O'Brien continues his summer blog tour with a guest post on his sci-fi thriller Cerulean Dreams. Dan will be giving away a Kindle Fire and other goodies at the end of the tour, so make sure to leave a comment for your chance to win! I often couch characters in the sentiments and personalities of people who are in my life. 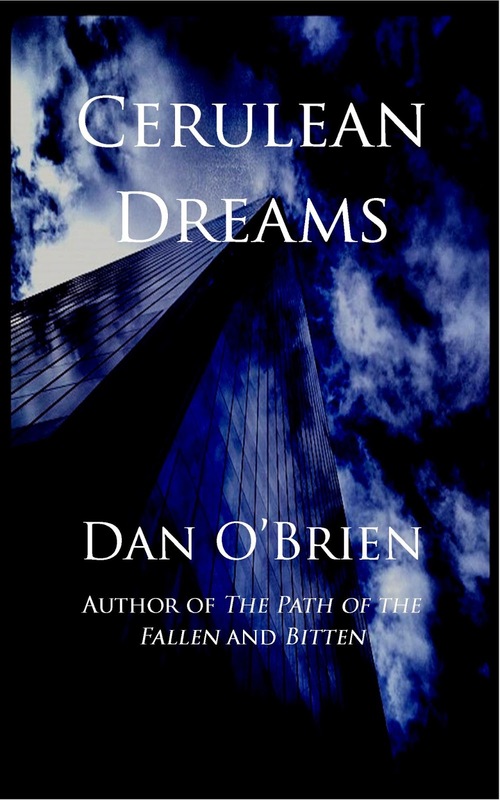 I hover over speculative fiction, so most of the events are purely fictional. There are some amusing places in some of my novels that were inspired by real events though…. I love to write the very sad parts. I find these parts in movies tremendously interesting as well. Also, any time I get to spend time with my antagonist, I consider it time well spent. My titles are born from the truncation of an entire idea into a single word, or something pithy I thought of. I have blank files of great titles that will probably never be turned into novels. This arises from a need to have a title for a book before I begin writing it. Some re-releases, sequels, serials, and even some all new titles. It will be a busy year. The out-of-commission tunnel was serene darkness except for dim running lights that traced a path along the exposed electrical work. They had stepped off the beaten path almost immediately, knowing that the dead body on the train and the carnage that had ensued would draw government attention soon enough. Marlowe shook his head as he walked, muttering to himself. “Can’t be real….” He watched all around him. Sometimes faces appeared, horrifying renditions of things resembling humanity. Often, he would look at the dark corners and see the scurrying forms that seemed to plague his every step. He felt like they were being followed every second they walked. There was something else, some slinking force that haunted their footsteps. “It’s the Lurking, isn’t it?” he queried out loud. Marlowe craned his neck. The air moved, swirling about as if there were something twisting in the wind. He watched the darkness, bore through it with his penetrating stare and he swore he saw it. He drew his firearm slowly, watching as the entity moved in the corner. The folds of its body were whipping like a flag in a gale: a bloated, blackened flag that was sentient. It catapulted itself forward, taking flight. It was a great raptor of shadow that descended from consciousness. He pushed Dana, his body covering hers. The entity fluttered––ripples of its being undulated like waves upon a rocky shore. Marlowe fired; the discharge of his weapon smoky and the impact meaningless as the bullets passed through the creature. Dana turned her head, pushing away from Marlowe. “What the hell are you shooting at?” she cried. Marlowe watched the creature recede. It did not possess eyes. Ripples formed a dome that seemed to bob from side to side, as if watching Marlowe. He swallowed hard with his weapon tight in his hand. His gaze firm upon its departure back into the shadow. Marlowe re-holstered his weapon, clearing his throat. Marlowe shifted uncomfortably, watching as the undead wandered back into focus. Their gaze no longer seemed steeped in harmful intent. Instead, it shone of ridicule now. It was her turn to fidget. After an hour they emerged from the abandoned tunnel into a vertical shaft that crawled toward the surface. Marlowe grabbed the iron rungs of an industrial wall ladder and pulled himself up with a huff, taking each in order. Dana waited before following, her small body easily climbing the fifteen-meter shaft. Marlowe stopped at its apex, feeling around above him for a handle. The shaft would lead them back onto the streets of Orion; back into the race against time for which they seemed so ill-equipped. He found the handle––the slime that surrounded it something of which Marlowe would rather not know the origin. “Where are we going?” Dana’s voice seemed small from beneath Marlowe. He wrenched on the handle, the old metal giving way to his leverage. As it finally moved free, he let out a loud breath of air from the exertion. Light shone from above; night was giving way to day. “We are going to get some answers, since I seem incapable of coaxing them from you,” he mumbled as he pulled himself through the manhole cover and onto the streets of Orion. The sun had begun to make its presence known. The sky was filled with reaching fingers and tendrils of its grasp, the power of the day expunging the night. He sat on the street as he looked down at her dirt-marred face. She had been quiet since their exchange in the tunnel. “Give me your hand,” he ordered. She did so without question and he pulled her through. As she stood, he replaced the cover with a grunt. Orion was a different creature during the day. The bright signs of the night had dissolved. The effulgent lights that spoke of necessary things were dwarfed by the golden power of the sun. Buildings seemed less majestic as the sun shone on them. Dirty on the outside, they were covered in ash and dust that could not and would not be witnessed at night. “Orion sleeps through the day. We will have to be careful,” warned Marlowe as he looked at the buildings. Their appearance seemed more like fossils rather than advanced works of art. Marlowe felt for his weapon. He did not see the crawling creatures. Despite their general creepy nature, he had become accustomed to them; their absence did not bode well for his paranoia. “Orion is a city of the night. I am rarely awake at this hour. The visors regulate our sleep, make sure we are rested, watching our vitals and sleep patterns in an effort to make things more harmonious,” he spoke as he walked out into the empty streets of Orion, the lack of humanity disquieting. Marlowe checked the buildings visually. Without access to the network, he would have to depend on knowing the city by sight. He pointed at a marble statue. Its beauty was disfigured by blackened lines of soot, marred by the inattention of the populace. Dana ran a hand over it, stepping past Marlowe. “Why?” Her mind was still absorbed by the statue. “Pearl District is home to OrionCorps main headquarters. My friend lives in the Portrait, just east of here. We should not linger,” he spoke. He started to walk east, past the statue and into a throng of smaller buildings that were painted mustard yellow. The ground seemed cracked, like it had hardened and split in places. He watched as the cracks crawled across the ground and up the side of the building, shattering the windows into broad webbed strokes. The running board of information that ran around the building did not glint in the morning light. Instead, its information seemed labored and slow. He stepped closer to the running board, reading the information there. Normally it spoke of rising stocks, news and information that was pertinent to Orion. It was often nothing more than mindless advertising. His lips moved as he read it, his neck pulsed: They are coming for you. They are right around the corner. They are going to get you, Marlowe. You can’t run from them. The Lurking is watching you. The board stopped and crackled, electricity arcing and leaping out at Marlowe. He struggled to find the words. The crisp OrionCorps uniform seemed unfettered by the morning. His face was clean-shaven, young. He hadn’t yet drawn his weapon. Dana looked from Marlowe to the youthful officer. Dana’s fear only intensified; she felt like the exchange was slowed. The officer stared at her again, seeing her fearful face. The fact that Marlowe was twice her age and looked like he hadn’t showered in weeks gnawed at the officer. She was a pristine young woman. His voice challenged Marlowe’s sensibilities. Marlowe watched Dana. Before this night, he had only seen dead young girls, their once-perfect features distorted and mangled. He had gotten to one of them in time. Opening her mouth, no words came out. Her eyes were glassy and wide. The night was gone and with it the madness that had impaired him. 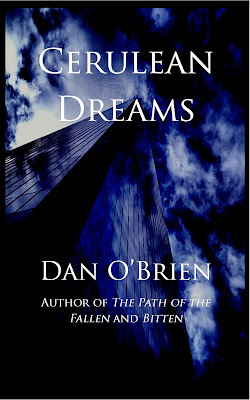 There were no longer denizens from some horrific dream. He had the girl and nothing was going to stop him from getting answers. “Not her father,” Marlowe finished. The officer turned, his weapon drawing with him. Marlowe was already in motion. He grasped the officer’s hand as he tried to pull his weapon free. His startled look brought a sad smile to Marlowe’s face. He pulled the trigger, the weapon exploding against the officer’s leg. Screaming out in pain, he fell back. As he did so, Marlowe pulled the officer’s weapon from the holster and steadied it on his prostrated frame. The man covered his face, though his lips moved. He was using the visor to communicate. The shot caught him along the left temple, shattering immediately any connection he had with the network and OrionCorps. The man twitched, the involuntary spasm drawing a panicked gasp from Dana as she hid behind Marlowe. “Sorry kid,” he whispered as he placed the young, dead officer’s weapon inside his long coat and turned without another word. Dana stood over the dead man, kneeling and touching his face where the round had impacted. She smoothed away the blood-soaked hair from his face. He had been handsome. She had not wanted him to perish like this, but he would have interfered. He would have undoubtedly complicated things. The sun was in full view in the east, proud and strong. She hoped that the day would be better for the two of them than it had been for the young officer that morning.